As with all our products, we are dedicated to providing quality window solutions designed to suit your exact requirements. After assessing your request in detail, we then proceed to tailor the perfect package and make certain that you are not spending unnecessarily, in areas where you don’t need to. Amongst many other features, our windows can include; ultra slim fully reinforced frames, the latest high security locking systems and doubled glazed sealed units featuring self-cleaning glass! Our team of industry experts are always willing to provide guidance and advice to help you make informed decisions along the way. Due to the size of casement windows in general, they provide an increase in natural light coming into your home. Compared to most windows, casement windows are renowned for being harder to break into due to the casement lock being hook-shaped and embedded within the frame itself. 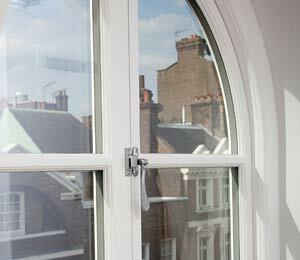 Renowned to be the second most energy-efficient window (after fixed-pane windows), on closing, the window sash presses against the frame, creating an artificial seal; preventing leakage and air entry. 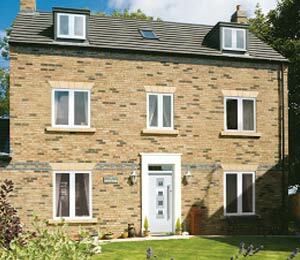 As a result of using single-lever latches or tandem latches, casement windows are very easy to open and close. We offer a 10 year no quibble guarantee on all of our products. Our guarantee policy stems from a complete and genuine interest on our part and is very straightforward. It is a legal requirement to offer a 10 year guarantee in the double glazing industry and so that is exactly what we do. You can choose from a wide range of colour finishes, glazing designs and sculpted frames to ensure the final result is aesthetically pleasing and in tune with the rest of your home. Our team of experienced designers will be able to answer any questions you have along the way.